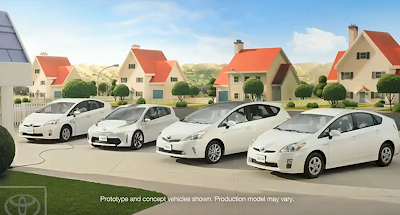 If It's Hip, It's Here (Archives): Prius Goes Plural and Creates A People Person To Introduce The New Models. 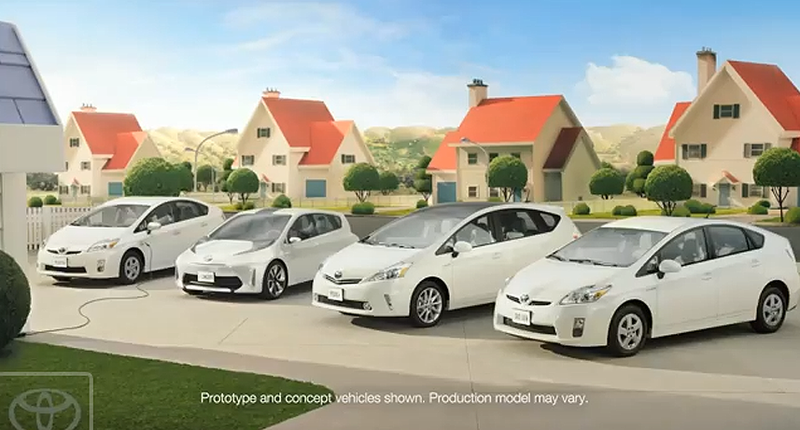 Prius Goes Plural and Creates A People Person To Introduce The New Models. The original Toyota Prius, now in its third generation, is being joined by three new models; the Prius v coming in fall 2011, the Prius Plug-in and the Prius c Concept- both coming in spring 2012. To introduce viewers to the growing Prius Family from Toyota, Saatchi LA devised an unusual effect for a television commerical, creating one metaphorical person by assembling 18 different human bodies - a unique way to communicate meeting the needs of multiple people. 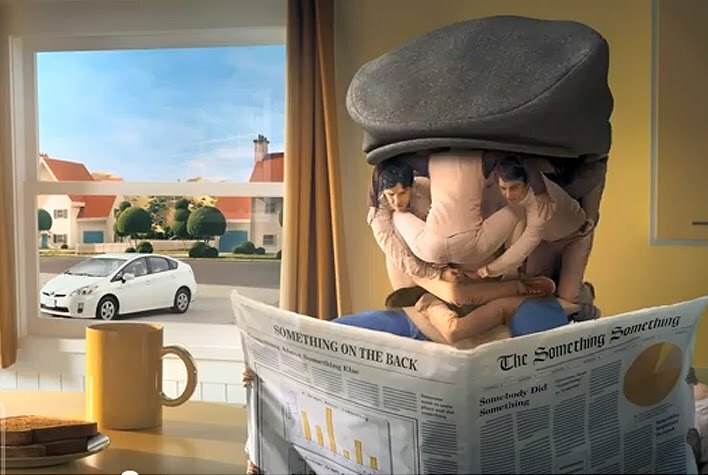 The metaphor then unravels when the "people person" sees the new Toyota Prius models parked outside. 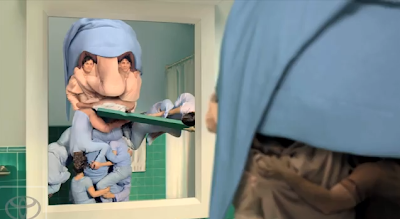 The spot was directed by Mr. 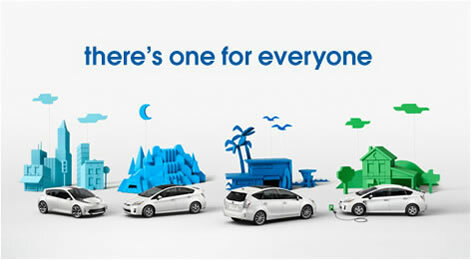 Hide (who directed the Prius Harmony spots in which the landscapes were created with people) and was mostly shot with live-action, large-scale props, and some green-screen help to create backgrounds. The spot is airing in both 60 second and 30 second versions. The set, a suburban neighborhood, was shot using a miniature set. 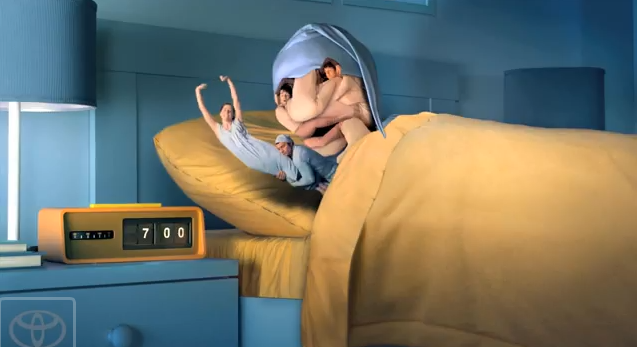 See how they did it in the video below. It took a lot of people to bring this effect to life. Below is a list of the full credits.